Create your very own cabaret act with Roxy Arrojo and Bruce Clough! Have fun creating your own show where you are the star! Two seasoned New York cabaret performers will lead you on a journey to discover the art of creating a unique cabaret performance. Develop a strong stage persona, learn how to choose a theme, write patter, select songs, use a microphone, as well as the basics of how to market yourself and your act. You’ll receive group instruction as well as one-on-one vocal and cabaret training. Optional Showcase Performance concludes the sessions. For all levels. Ages 18 & up. Intimate setting, space limited. Individual coaching sessions will be assigned on Friday & Saturday as well as the above sessions. All intensive attendees receive a Class Pass for the Festival, so that they may attend other classes throughout the weekend. Note: The Showcase is a great place to try out a new song with a bit of patter; put a twist on a musical theatre song; and a welcoming place to get your feet wet! 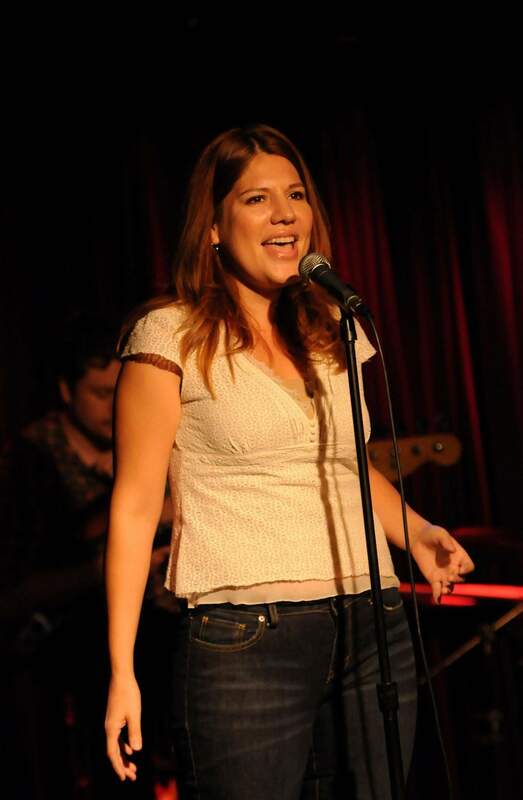 Roxy Arrojo has performed at Don’t Tell Mama and The Duplex with her cabaret Bewitched, Bothered and Bewildered. She has performed and produced at The Laurie Beechman Theater with A Tribute to Eva Cassidy, Ladies Rock, and Get Happy: Celebrating Music in Film. She has also performed in Love Love Love-The Songs of the Beatles and Live Through Love. She has composed for The Collaboration Project at The Triad, and been a special guest at Take a Time Out with Marty and Marissa. She loves creating mashups and changing the styles of songs. Bruce Clough has worked as a professional actor, band singer, stage director, editor, acting coach, English & Drama teacher. He’s performed over 100 roles on stage with, among others, Sir Anthony Hopkins, Uta Hagen, F. Murray Abraham, Mike Nichols, and James Gandolfini, at such prestigious venues as The Public Theatre, The Dallas Theatre Center, and The Actors Theater in Louisville. Over the last decade he’s created a unique cabaret brand in NYC. After running the drama department at West Orange (NJ) High for years, he left to defeat cancer, and celebrated his victory with the critically acclaimed cabaret Silver Linings. He is currently working on a celebration of New Orleans music.